What motor and trans in my 1960 Austin Healey Sprite? 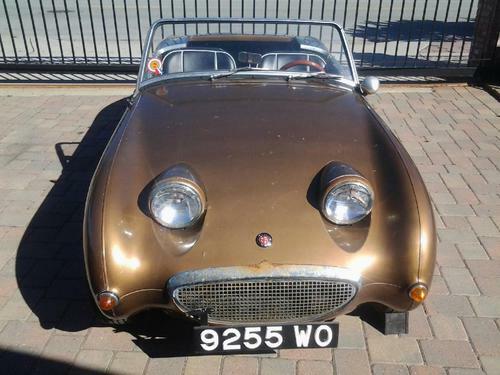 Ahoy all - New member because, while I don't own a 510, I own a 1960 Austin Healey Bugeye Sprite with a Nissan motor. I need your expertise please. Re: What motor and trans in my 1960 Austin Healey Sprite? R 1600 out of a roadster. Any idea what year it might be? Or a range? Anything would be helpful. Also, any idea on the transmission? The engine appears to have an aluminum head, so that would make it a 1967-1970 SPL311 Roadster engine. The R16 had a matching 4-speed transmission. Oh wow '67 - '70? Thanks! That is immensely helpful in my journey.